On October 8, 1938, the Ford Motor Company launched the Mercury Eight. The brainchild of Henry Ford's son Edsel, the car sold a total of 70,385 units for the 1939 model year. It seemed that the company had at last found the solution to providing the middle class with a car that slotted in between the mass-market Ford and the upmarket Lincoln. Through the years, the Mercury brand has had a modicum of success, introducing such mildly notable automobiles as the 1958 Colony Park, the 1965 Comet Cyclone, the 1978 Zephyr, the 1986 Sable, the 1993 Villager, and the 1997 Mountaineer. (See photo gallery below for historic Mercury vehicles during its life span.) 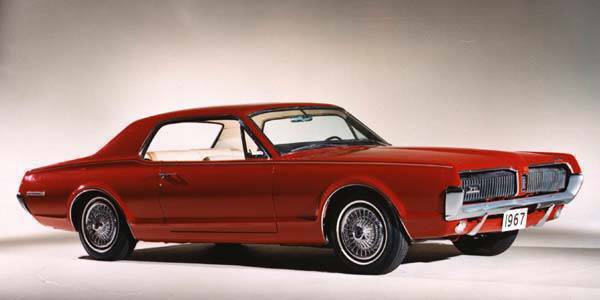 But none was more prominent and important than the Mustang-based 1967 Cougar, a car that provided the brand with a dollop of sexiness and desirability. All of this is now officially going to be locked up inside Ford's vault as the Dearborn-based American carmaker has decided to kill the brand, announcing that Mercury production will cease in the fourth quarter of 2010. This isn't really shocking news; in fact, the move has long been expected from Ford. "Of Ford Motor Company's 16-percent market share in the US," the official press statement says, "Mercury accounts for 0.8 percentage point, a level that has been flat or declining for the past several years. That contrasts with the Ford brand, which has increased its market share by 2.2 percentage points so far this year." Mercury sales in the US last month were down again by 10.69 percent. The brand sold just 9,128 units in May compared to 10,221 during the same month last year. Ford identifies two main problems that have dogged Mercury for years: (1) "Mercury's customer profile, pricing and margins are almost identical to Ford's," and (2) "The majority of current Mercury sales are to fleet buyers and customers purchasing through employee, retiree and family discounts." Currently, there are four existing vehicles in the Mercury product lineup: the Mariner compact SUV (which has a hybrid version), the Milan midsize sedan, the Mountaineer midsize SUV, and the Grand Marquis full-size sedan. Ford assures Mercury owners that they will continue to have access to reliable parts supply and service support at Ford and Lincoln dealerships, and that their current warranties will still be honored. Aside from the termination of Mercury's production, Ford has announced that it is expanding the Lincoln lineup "with seven all-new or significantly refreshed vehicles in the next four years, including its first-ever C-segment vehicle." Okay, so our market may not really be affected by this development as Mercury is not being sold here. Still, true car lovers always feel a pang of pain every time an automotive brand crosses the great divide. Let's drink (moderately) to the fond memory of Mercury.